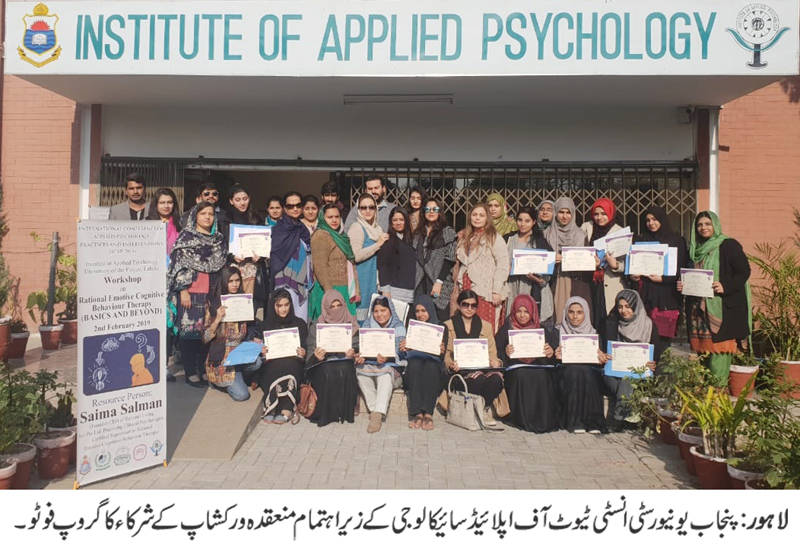 LAHORE: (Monday, February 4, 2019): In connection with upcoming International Conference of Applied Psychology; Practices and Interventions (ICAP-2019) from 6th to 8th February 2019 organized by Punjab University Institute of Applied Psychology a one-day pre-conference workshop on Rational Emotive Cognitive Behavior Therapy-Basics and Beyond has been organized. Ms. Saima Salman, practicing Clinical Psychologist in Singapore was the resource person. Around 22 participants including faculty members and MS, MPhil students of various universities attended the workshop. The workshop provided an opportunity to the attendees to learn about Rational Emotive Cognitive Behavior Therapy through lectures, demonstrations and small group interactions. 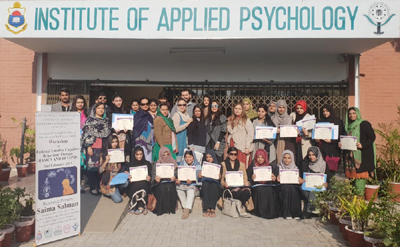 Director of Institute of Applied Psychology and Chief Organizer of ICAP-2019 Prof. Dr. Farah Malik distributed certificates to the participants at the end of the workshop.